Brexit : what’s next for Great Britain ? The 27 European ministers of foreign affairs gave their approval on Monday 19th of November about the agreement project negotiated between Theresa May and the European Parlement. But this is not finished yet, as both sides still have to discuss their relation after the Brexit in a big summit on Sunday 25th of November. Even if she is heckled in her country, Theresa May is still determined to lead the project to the end. For British people, there are a lot of questions without answers. A transition period will occur after March 29th of 2019 to December 31st of 2020. During this time lapse, Great Britain will have a particular status. The country will be part of the European Union without any right to vote and decide about the future of EU. After the Brexit, there still will be no custom duty on both sides and prices of imported products will stay at their current level. An agreement about cooperation on the security is discussed at the moment. Theresa May said that she wants to be part of the shared European policy on safety. The question of backstop is the biggest problem. They don’t want to build a physical frontier which will increase the price and tension between the Republic of Ireland and Northern Ireland. The main topic of the discussion now, is the backstop. They have until 2020 to find a solution. If not, Northern Ireland will have big economical difficulties with the lack of exportation to Ireland. 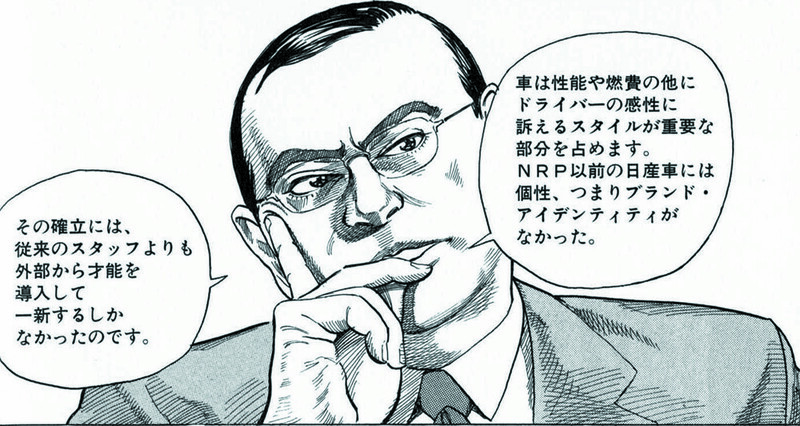 Carlos Ghosn, the CEO of Renault-Nissan-Mitsubishi who was arrested 19 November for tax fraud, was pictured as a superhero in a series of Japanese manga “The Story of Carlos Ghosn: The Know-how To Corporate Revitalization”. In the book, published in 2002, he is described as a person who has unusual powers and changed Japan’s business world. The story is based on this speech. But the members of the firm didn’t share the dream, because of his privatization exceeding limitations of the corporate possessions. One of the executives gave an account of his privatization after the capture of Ghosn; he was living at a house that the company bought for instance. In addition, it was not only Ghosn who private the property of Renault-Nissan-Mitsubishi. For his family vacation, for the made-up advisory contract with his sister, The CEO used much of the property of the company for his family. He was the superhero of Nissan and Mitsubishi, however he was their super villain simultaneously. This entry was posted in WORLD and tagged Carlos Ghosn, Manga, Mitsubishi, Nissan, Renault, Superhero. Generator managers take advantage of the state’s inability to provide continuous electricity. In Beyrouth, for many weeks, the Lebanese government has been dealing with violence of private electric generator owners. In fact, for a decade, their role has been to complete the amount of the electricity provided by the government, in order to enable to the population to have an all-day supply. Two visions: the first is the general government of Lebanon who wants to support Lebanese citizens. The problem is that they pay the energy from private providers much more expensive than that supplied by the government. 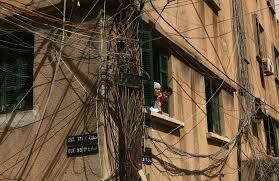 Many Lebanese have not the budget to buy electricity two times. Against this vision, the private electric generator owners make much money thanks to this situation and don’t want to reduce their prices. Inspections, custodies,…, the Lebanese government do not skimp on ways to force the traders to fix meters to reduce bills of consumers. Sometimes, fixed and opaque, prices practice pull electrical expenses up. On average, the cost rises to around 300 dollars per month per household. The estimated number of generators in the country is 7,000. They had been given time until 1st October 2018 to change the practices. Unfortunately, not enough generators owners accepted to change their habits. All of them accuse the Lebanese government of wanting to ruine the electric generator owners. The government of Lebanon wants to break the current system and this way to destroy the mafia of generators. This entry was posted in WORLD and tagged International, Lebanon, mafia. “Yellow vests”, What’s new ? After seven days of mobilisation, the “yellow vests” want to continue their actions in all of France. But without a real leader, or a union to back up the movement, where will the “yellow vests” be in the future. Another demonstration of the “Yellow vests” will take place on Saturday 24th of November, at the Champs de Mars in Paris. After one week of blocking a large part of the territory, the demonstrators are not ready to stop until the government hears them about the rise of oil price. This same government doesn’t hide its worries about this future demonstration, as during this week of protests, many people were badly affected by the movement. At this time, the number of wounded rises to 528 on Friday 23rd of November, amongst them 17 are really badly injured, according to the government. Today, Christophe Castaner, the Interior Minister, has called the “yellow vests” to take their responsibilities: “When you decide to organise a march you have to assume it.” This clear message is addressed to the “yellow vests” who will be present in the Champs de Mars tomorrow. Actually, French government fears the presence of the “BlackBlocs” at the demonstration. These people, could disturb the march by their violent actions. Some political figures try to take up the movement by giving them ideas. François Asselineau (UPR) for instance calls “yellow vests” to claim Emmanuel Macron’s destitution during tomorrow’s march. This entry was posted in FRANCE and tagged demonstrations, oil's price, yellow vests. Several international journals point out the “many mistakes” made by Emmanuel Macron, president of France, unfit to bring back together citizen of France and his government since the beginning of the Yellow Vest’s protests and the increase of fuel price. Two deaths, five hundred and fifty two wounded, about five hundred and eighty two police arrests and four hundred and fifty in custody. Those numbers represent the assessment made by the interior ministry on Tuesday evening. The “Yellow Vests’ ” movement is a huge controversy and made the headlines of many French newspapers but also in the world. 30,000 “Yellow Vest“ demonstrators are expected on Saturday November 24th in all France, against 300,000 last week. President Macron will respond to the movement on Tuesday 27th at a press conference in Paris. Promotions, rock bottom prices, good deals, today, it’s the Black Friday. For some people, it’s the opportunity to overspend. For others, the moment to remember that the Earth is already suffering from overconsumption. Now it’s time to choose. During Black Friday, the planet suffers from overconsumption once again. Seen in this light, “Fairy Christmas” takes a big hit. Citizens and associations are fighting against Black Friday and they hold an eco-friendly “fight back”: the Climate Friday. The movement “Citoyens pour le climat” #ilestencoretemps (“Citizens for the climate” #thereisstilltime) counter attacks. Several associations are calling for a boycott of Amazon, Cdiscount and the others giants of e-commerce. Another movement was born in 2017 : the Green Friday. This year again, the founding members of the operation are trying to offer an alternative to Black Friday with the support of the Paris City Hall. Green Friday proposes several events in all the country ; DIY workshops, initiations to recycling, diagnostics of electrical appliances and other. The website also offers eco-friendly alternatives to consumption. It established a list of brands which will donate 15% of their turnovers of their day to green associations. 5,740 billion euros is the amount of expenses achieved in France for last year’s Black Friday. This number is based on RetailMeNot and CRR Research studies. A continuous increase of this number can be observed since 2013, date of the first Black Friday in the country. In France, we are expecting a consumption peak this week-end. Fifty percent of the French people intend to participate in this event. Black Friday happens one month before Christmas, which allows people to buy their gifts cheaper. In order to protect the environment, Greenpeace invites “responsible citizens” to manufacture their gifts rather than buy them. This entry was posted in BUSINESS, FRANCE. The “Nous toutes” collective launched a campaign of protest against sexual and sexist violence to women. A march will be held in Paris on the Place de l’Opéra as well as in the rest of the country on November the 24th. Approximately 225,000 women have been sexually abused or have endured physical assaults this past year, according to the French department for equality between men and women and fight against discriminations. Among these women, only 19% declare to have filed a complaint after having endured such violences. In 2016, 123 women died because of domestic violences. The purpose of the march is to show that women are not afraid to speak anymore. Indeed, 9% of the sexual abuses are committed by a stranger to the victim, 46% by a relative and 45% of them by a boyfriend or ex-boyfriend. The initiative has been followed and signed by more than 400 women journalists, asking people who wish to, to come and march with them on November the 24th. The issue will be to see if the movement is in completion with the “Gilets Jaunes” marches happening on the same day.